Palestinians welcome Prof. Cheney-Lippold's stand for Palestinian rights and urge academics to end all collaboration with complicit Israeli institutions, including through study abroad programs in Israel. We welcome Professor John Cheney-Lippold’s principled decision not to facilitate participation in study abroad programs in Israel by declining to write a letter of recommendation for a student. Palestinian academics have since 2004 called on all conscientious academics and progressive academic institutions to reject academic business as usual with Israel while it maintains its decades-old system of military occupation, settler-colonialism and apartheid. 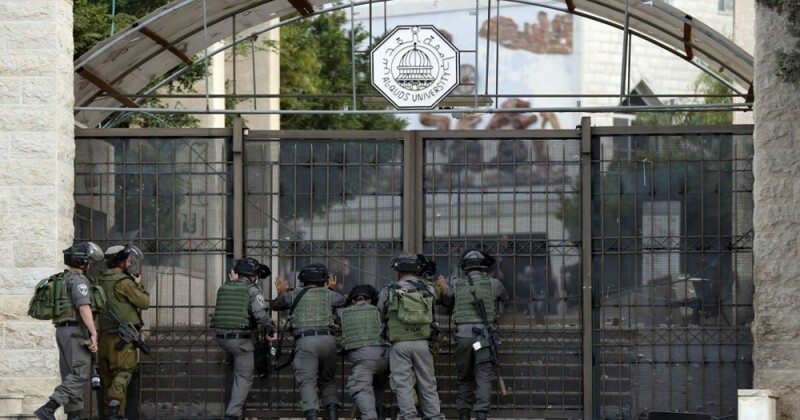 Palestinian students and faculty face Israel’s institutionalized racism, discriminatory underfunding of education facilities, limits on travel, at home and abroad, military raids on campuses, including with live fire and tear gas, and bombings of schools and universities. Israeli universities play a key role in planning, implementing and maintaining these racist Israeli policies. Prof. Cheney-Lippold refused to be complicit in academically whitewashing this apartheid reality. He is not alone. Important academic associations and teachers’ and student unions as well as thousands of academics support the Palestinian call for a boycott of Israeli academic institutions until Israel respects international law. Thank you, Prof. Cheney-Lippold, for taking an ethical stand against oppression. We urge academics to end all collaboration with complicit Israeli institutions, including through study abroad programs in Israel, until Palestinians can live with freedom, justice and equality.